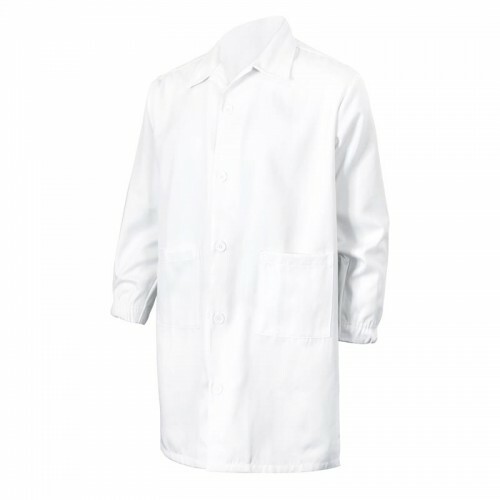 This 80/20 polyester/cotton poplin blend lab coat is 41-1/2" long, oversized to fit over other clothing. lso features a lined notch lapel collar and side seamed design with side vent openings. Perfect for lab technicians, doctors and nurses!